Who are the AEN partners? Globe Aroma is a Brussels socio-artistic workplace, creating opportunities for refugees and new-comers with artistic abilities. 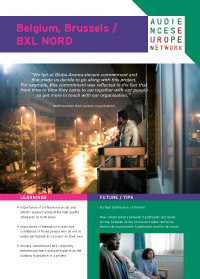 In coproduction with arts centre Kaaitheater and in collaboration with relief centre De Harmonie, Globe Aroma made the short social fiction film ‘Brussels North’, directed by Jan Geers and Jamal Boukhriss. 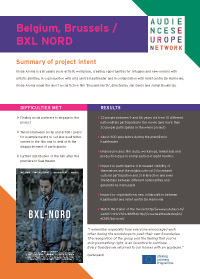 This case study was written up as part of Audiences Europe Networks 2012 - 2014 Open All Areas programme.